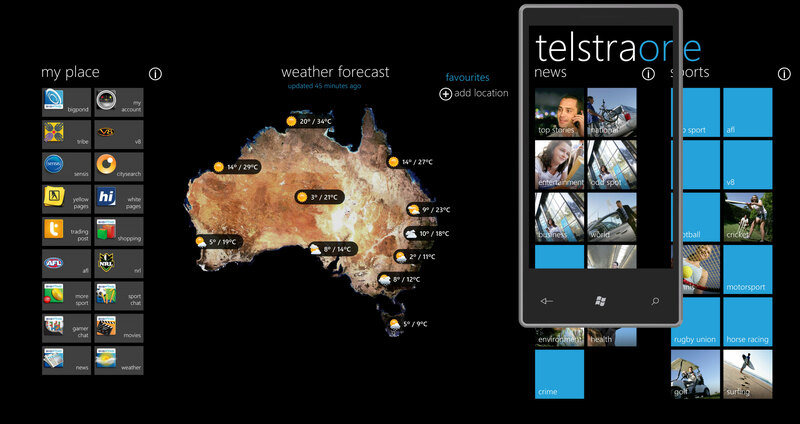 At the TechEd Australia 2010 keynote today, Microsoft Australia’s Dave Glover took a minute to highlight a few interesting locally-developed Windows Phone 7 applications specifically for the Australian market. The first was TelstraOne, an integrated information hub from the local telecommunications carrier, surfacing general and sports news, Australian weather information and quick access to popular Telstra services and content hubs. For a company who usually over-brands their softwares, this app looks refreshingly native. Next was an indie XNA game developed by Adrian of Micron Game Studios who ported his XBOX360 game “Next Wars: The Quest for Earth”, a Geometry Wars-styled tower defense game, to Window Phone 7. The game actually started out as a Year 12 high school project which has since won a competition and have over 40,000 downloads on XBOX Live. Deck of Secrets, a company who produces a deck of cards (who would have guessed) with an assortment of local bars and restaurants in a city also had their app demoed. It allowed users to browse their catalog of venues both alphabetically and those close to you. A nice touch of the app was the ability to make a reservation directly within the application with the help of a third party service. Last but not least Domain, the real estate website, was also committed to an WP7 application to help potential home buyers explore house listings. The app not only inherited the native look and feel but also took advantage of controls like the “scroll wheel” control to allow easy selection of the search criteria. I have a few photos from the keynote demo below, please excuse the quality. Now, you’re blogging about the great apps on WP7…. So you are saying that, people can’t change their mind based on new knowledge and experience that they get true life?